It is simple and it is woefully short, but here is a peek into Disney's upcoming live version of the movie Beauty and the Beast. The names being associated with the movie are iconic and exciting and include the likes of Emma Watson, Dan Stevens, Stanley Tucci, Luke Evans, Ewan McGregor, Emma Thompson, Ian McKellen and Kevin Kline. This movie has a lot to live up to including the original Disney film and the new expectations that Disney is going to be building higher and higher over the next ten months or so. The release date? We have to wait until March 17, 2017 to see this new version of a beloved classic Disney film! What do you think? Are you a Disney fan? 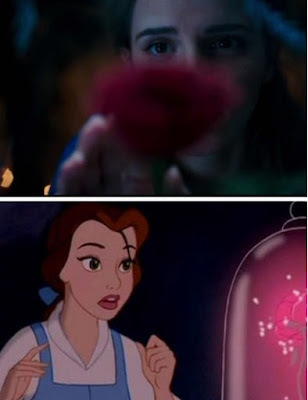 Love Beauty and the Beast? Are you excited? I am because I think that the trailer is amazingly beautiful and I know that if anyone can bring the world of Beauty and the Beast to life on the big screen, it is Disney.